Winter is wrapping up early in South-central Alaska. Warm temps, blue skies, and rapidly melting snow in town are signaling the change of seasons. 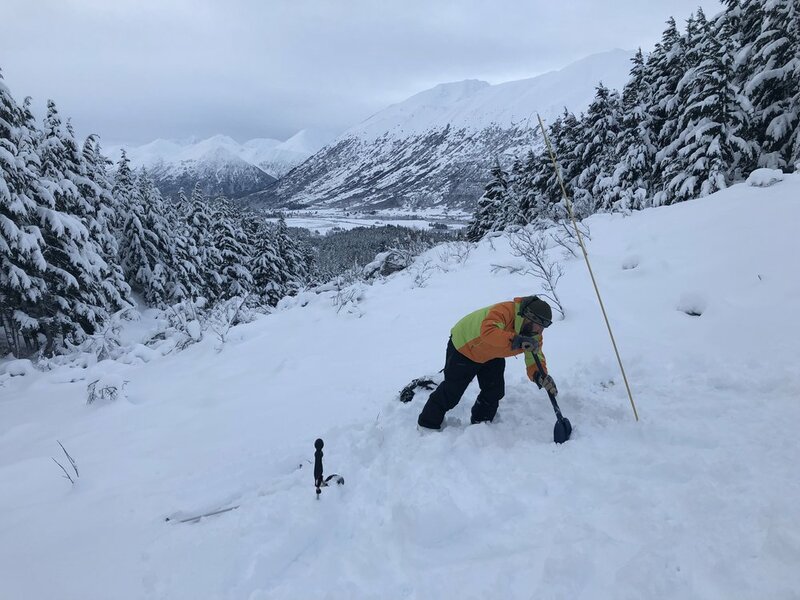 While AGC guides are spending more time in the bigger mountains of Alaska this time of the year, we have plenty of good conditions in the mountains around town, and skiing has been great. The winter had plenty of good times in store. 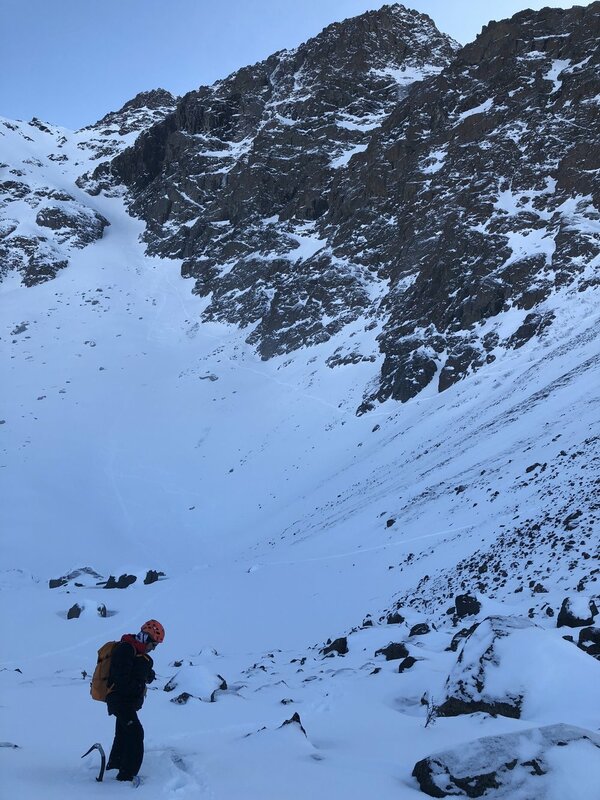 We at the Alaska Guide Collective started offering public avalanche courses. There will be more available next year. We hope to see more students in the future, everyone who attended said they learned a lot and had a great time. The ice season was also pretty good. I want out with a mix of new and experienced climbers. Objectives were located around the Anchorage area, and I also was able to get some guiding done in Valdez. The big ice climbs there are phenomenal! Lets hope next winter is even better than the one we just had. Enjoying the start of winter on the Rec 1 avalanche class. 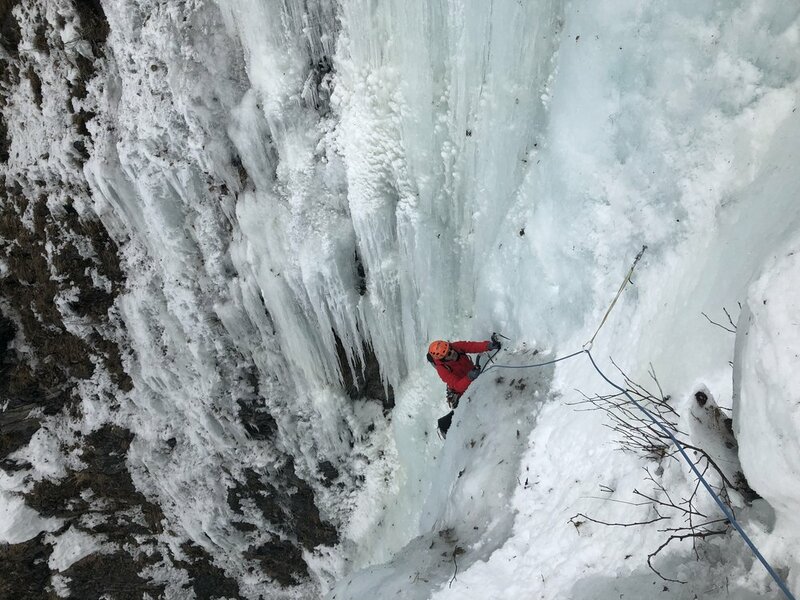 Local ice climbing on the Beer climbs. Early season can be hit or miss with conditions and weather. 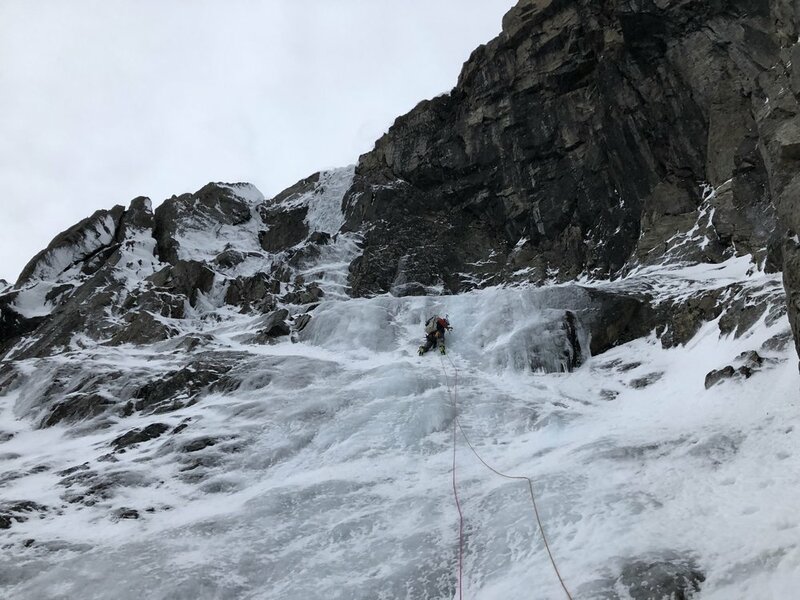 I had a couple good days on Ptarmagin last week ice and alpine climbing. 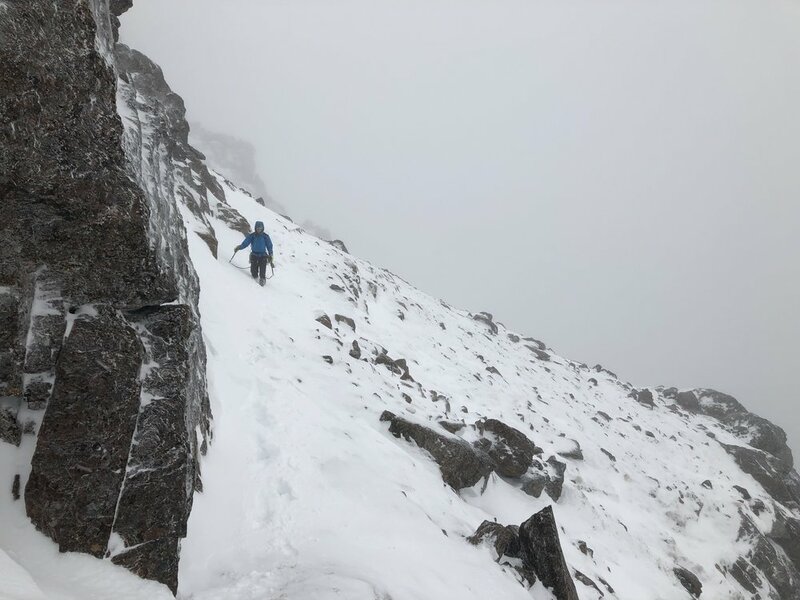 The low snow is helpful for getting around the mountains when you don’t have skis on your feet, and ice seems to be forming up. Joey and I climbed Hookers (WI5-5+) on 11/16. Joey and I met guiding for the Alaska Mountaineering School. He’s a climbing ranger for Denali National Park now, but he stays in Anchorage in the winter with his family. It’s always fun to get out with him. We had both been climbing in the desert in the last week, and it was an exciting first day back swinging the tools for both of us. I have been watching this climb for years, finally conditions, partner, and free time all worked out to make it happen. The next day Alan and I climbed Right Ski Track on the north face. Its a great 8-10 pitch route that has various difficulties based on the conditions. We climbed rock, ice, and snow on the line. Its a great prep route for bigger climbs in Alaska. When we topped out it felt like winter conditions, but we made it back to the bikes before dark and were able to coast out by headlamp. Another fun day. The north face of Ptarmagin is a great venue in the front range. It so cool to have a wall like this with so many good routes so close to town. Joey enjoying the view from the top. Joey rapping back off the crux pitch of Hookers on the descent. Alan finishing up the pitch 5 snow simul-climb. It was better to get on the easy ice instead of wallowing in snow. Alan finishing up the last pitch, mixed climbing in full spindrift. Walking back east over the top of the north face.